Bloom as Legolas will star in all upcoming Tarantino and Pixar films. 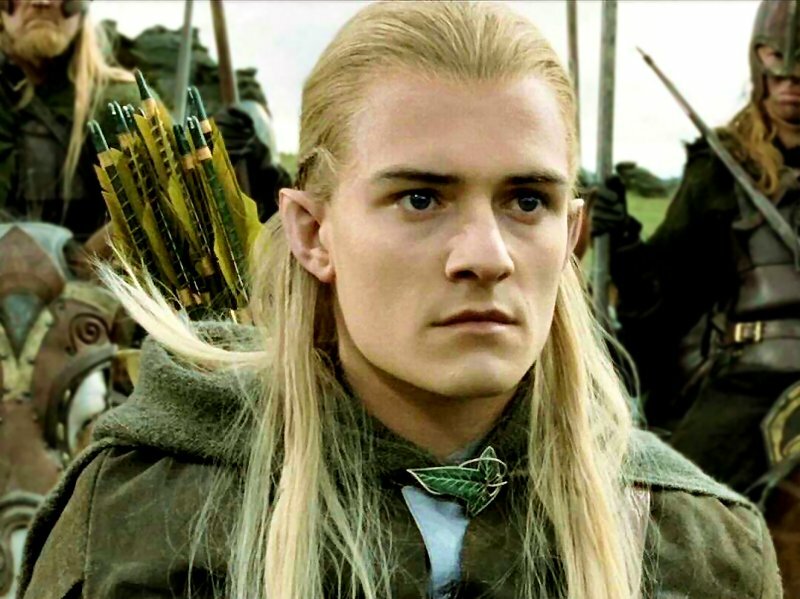 Bloom, Orlando – Director Peter Jackson announced that Bloom, who played elf Legolas in the Lord of the Rings trilogy, will be joining the cast of The Hobbit—even though Legolas does not appear in that book. Because of his extreme dreaminess, Bloom will reprise every role he has ever played in all future prequels and sequels, especially if the character did not originally appear in the work. He will also star as himself in Kung Fu Panda 3-8, just because. Coco, Ice-T and – The husband and wife team tell The Urban Daily what it’s like to be married, have a reality show, and deal with haters. The interview will shock people who know Ice-T only from Law & Order: Special Victims Unit, and who have no idea who Coco is. Gaga, Lady – After her “egg” entrance to the Grammy’s, Gaga upped the ante by zip-lining onto a smoke-filled stage for the “Good Morning America” Summer Concert Series. This left Gaga unsure if she was supposed to be performing or vacationing in Costa Rica. Mendes, Eva – The actress told Chelsea Handler that she’s not really into marriage, saying, “We were doing it for land originally. I mean, how unromantic is that?” Mendes is right in that marriage has changed over the years to focus on the most important thing now: getting better health insurance rates. Silverchair – The Australian rock band have announced they will be in “indefinite hibernation.” This comes as little surprise to everyone who thought they went into hibernation after 1995’s Frogstomp. More than the final month the Facebook Like button has began to seem everywhere. The good quick film above illustrates the adverse correlation between particular peoples’ Facebook likes and their actual happiness. or any other variation on that theme, you should enjoy this. exposure! Keep up the very good workos guys I’ve added you guys to my blogroll. brand? And there are no responses whatsoever from anybody at Ford.